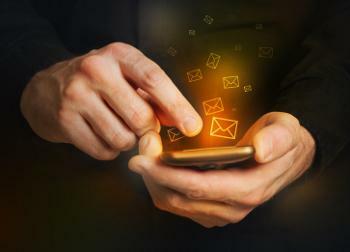 Text messaging, or SMS (short message service), was invented in 1985 to take advantage of unused resources in the phone system. But the fact that it’s been around for a while doesn’t make the “netiquette” of group texting any easier. Not at night. Late hours—after 10 p.m. on weeknights—should be reserved for serious crises. No personal announcements. Group-texting photos of the sales director’s newborn baby qualifies as spam and, worse, requires burbley responses. Reserve it for company email. Don’t be a data-killer. Not everybody buys unlimited data. GIFs, emoji, photos and videos feast on it. Stop passing notes. Yes, business meetings can be boring, but the zzzzzzt-zzzt-zzzt of texts with “OMG so000ooo bored” impede productivity. Remove nonparticipants. If you’ve created a group to work on a special project, remove any drop outs. Check for missing persons. iPhones and Androids are different; a Droid may be left out. Clues: A Droid header may say “Group MMS” while iPhone says “Group,” and blue messages mean iMessage, while green may be Droid. Let old text chains die. Especially after a week. No cliffhangers. If you begin setting up a project or a meeting, finish. Don’t make your people ask for a time or place.